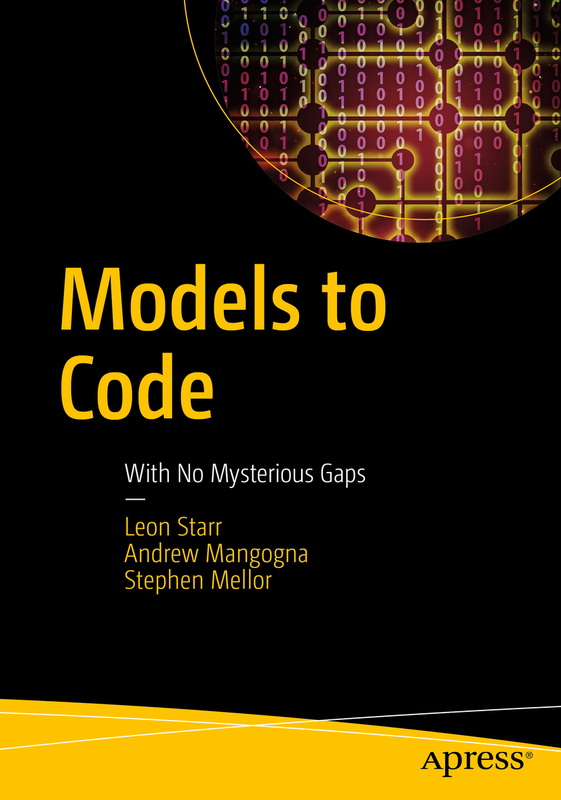 The whole point of our book is to show you, in great detail, how a platform independent, executable model of requirements can be systematically transformed into production code. Rather than teaching theory from the outset, we demonstrate by example. So we have selected a specific approach to code generation, a particular class of hardware platform and C as our target language. Even though we are examining the details of single approach to code generation, we are in a position to abstract out the general principles at work. If you are targeting a similar class of platform, you may want to adopt our exact approach. Even if your platform is different, the same principles we lay out apply and you will be able to use our example as a point of reference to gauge and define your own approach. This website is designed to provide you with updates, downloadable models and open source code and a forum where you can ask questions and get answers and insights from the authors. We (the authors) are maintaining this site. Please also visit the Apress book site. Now available in both print and digital from Springer/Apress and online bookstores.